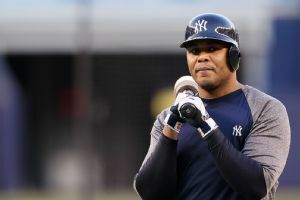 Former Atlanta Braves slugger Andruw Jones is looking to return to Major League Baseball after playing two years in Japan, agent Scott Boras told ESPN.com Monday. 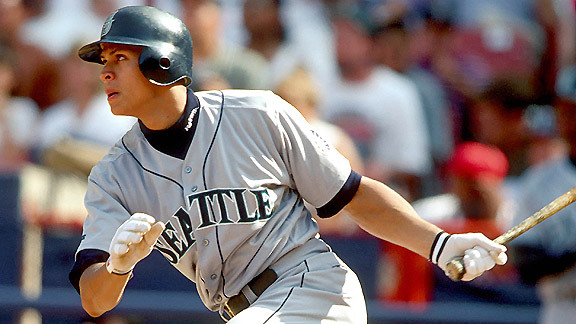 Japan's Rakuten Eagles have said Andruw Jones will return for another season after helping the Pacific League team win the Japan Series last year. Andruw Jones and Ginji Akaminai had run-scoring singles in the 10th inning Thursday, leading the Rakuten Eagles past the Yomiuri Giants 4-2 for a 3-2 lead in the Japan Series. Andruw Jones got two hits and Diegomar Markwell and Orlando Yntema combined for seven innings of four-hit ball to help the Netherlands upset South Korea 5-0 in the World Baseball Classic on Saturday. A couple weeks ago, Keith Law unveiled his annual list of the top 25 players under the age of 25 . Keith's list isn't a projection of the best players for 2013, but rather a projection and ordering of players if you were starting a franchise. The wife of former Atlanta Braves star Andruw Jones has filed for divorce about a week after she accused him of grabbing her neck and saying he wanted to kill her. Police say the wife of former Atlanta Braves star Andruw Jones accused him of dragging her down a staircase, grabbing her neck and saying he wanted to kill her. Jail records show former Atlanta Braves star center fielder Andruw Jones is free on bond after being arrested in suburban Atlanta on a battery charge. Raul Ibanez and the Seattle Mariners have agreed to a $2.75 million, one-year contract, a person familiar with the negotiations told The Associated Press on Saturday night. Andruw Jones is headed to Japan.